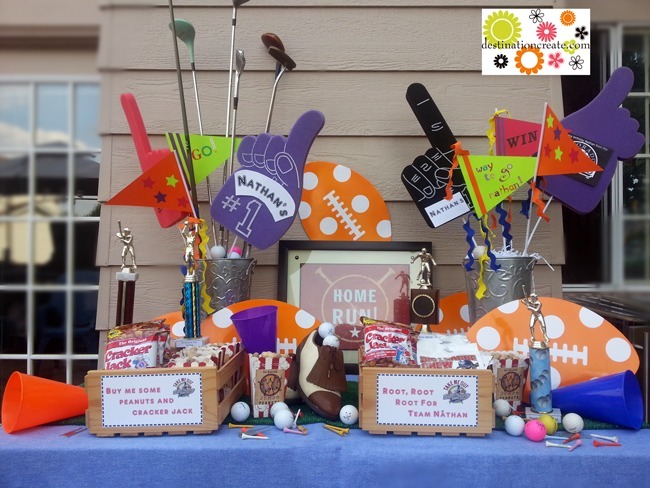 I didn’t want to limit the decor for this Sports Theme birthday party so I settled on a multi-sports theme. 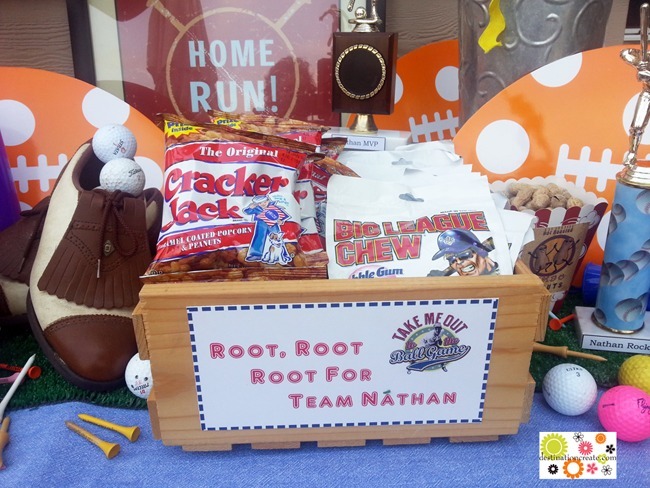 A trip to one of my favorite thrift stores yielded used golf clubs, golf balls and golf tees. 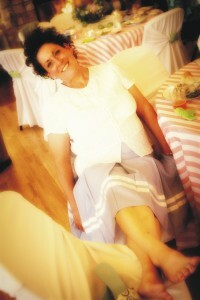 A fake turf rug from The Home Depot made an appropriate table runner. 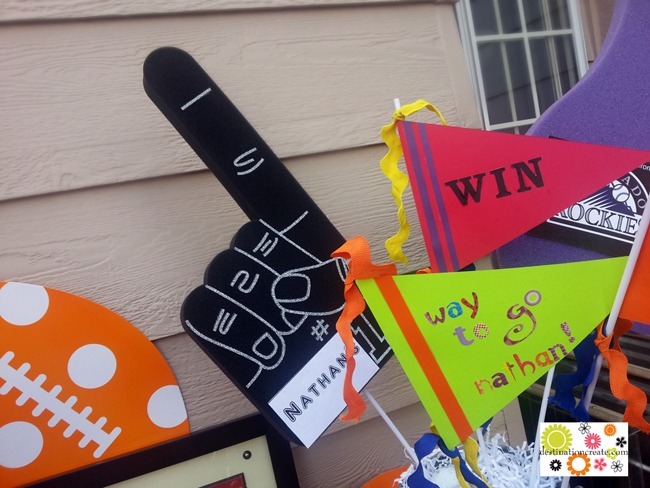 I added my own graphics to the big foam fingers from US Toys and I made custom pennants from card stock and scrapbooking letters. 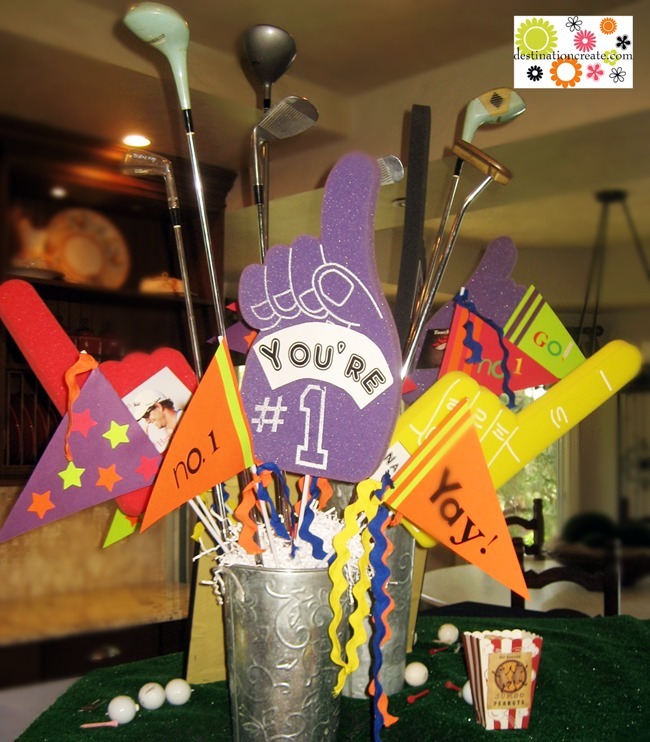 Customized big foam fingers and hand crafted pennants. The football place mats were a lucky find at Tuesday Morning. 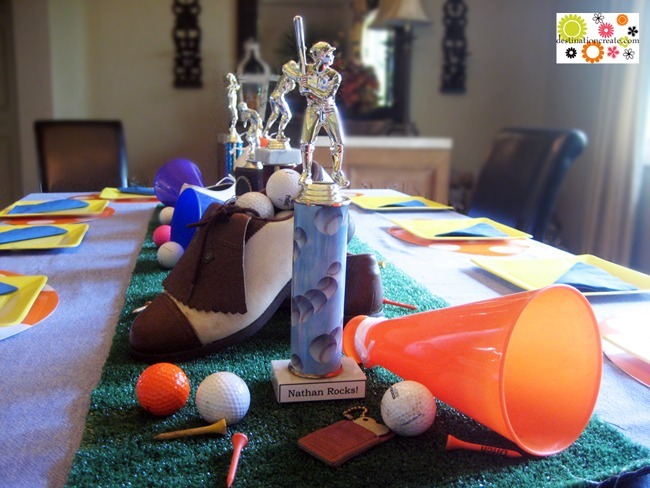 I customized thrift store trophies for the birthday boy. 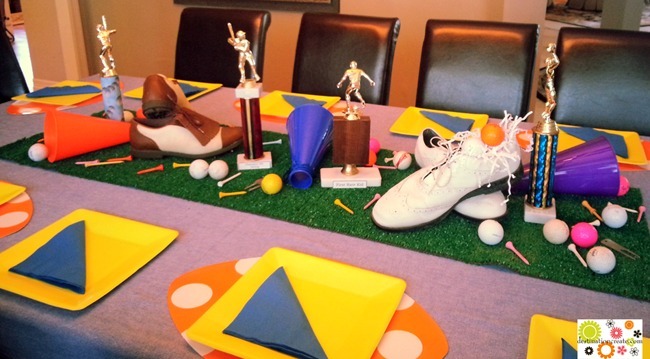 Centerpiece created from used trophies, golf shoes, plastic megaphones & golf ball table scatter. 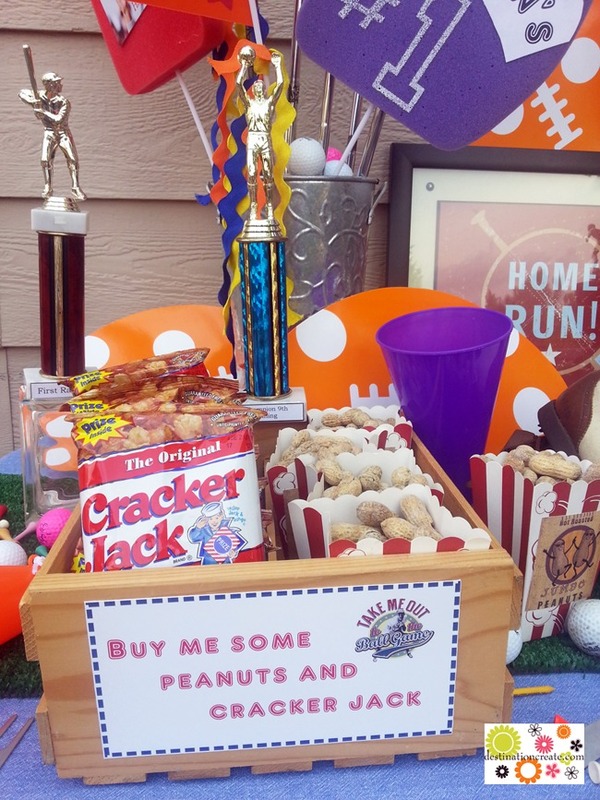 A ball game has to include peanuts and cracker jack! 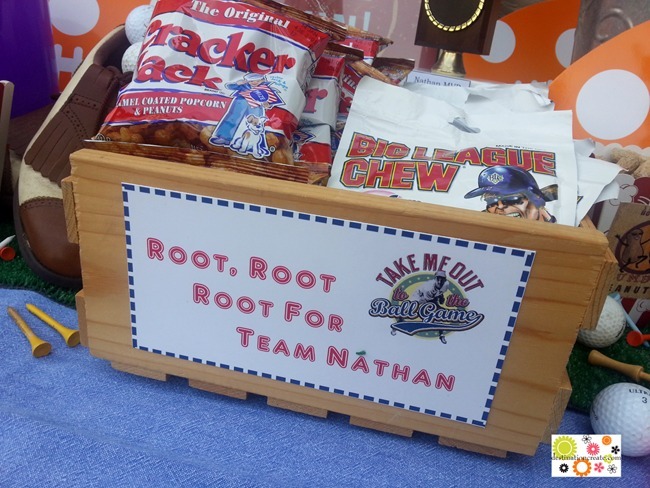 Snack containers are used wine crates from the thrift store.